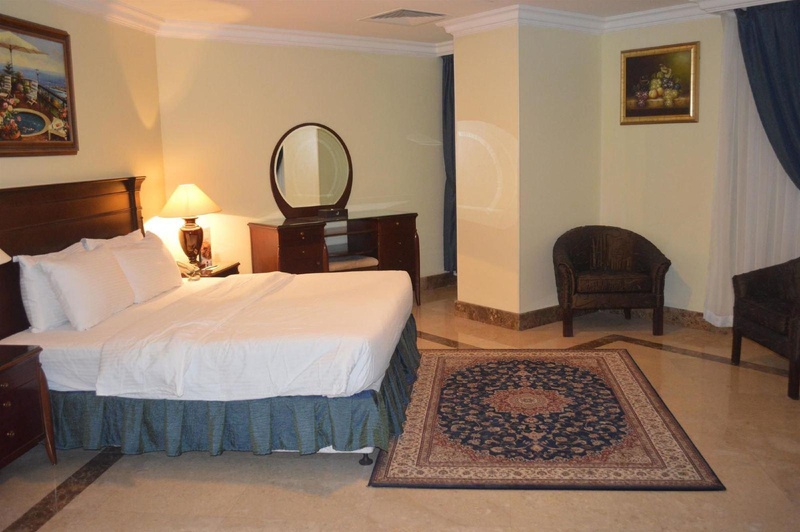 Coral Al Ahsa Hotel is perfectly located for both business and leisure guests in Al Ahsa. Both business travelers and tourists can enjoy the hotel's facilities and services. 24-hour room service, free Wi-Fi in all rooms, 24-hour security, daily housekeeping, chapel are there for guest's enjoyment. Comfortable guestrooms ensure a good night's sleep with some rooms featuring facilities such as television LCD/plasma screen, internet access – wireless, internet access – wireless (complimentary), non smoking rooms, air conditioning. Entertain the hotel's recreational facilities, including fitness center, sauna, massage, steamroom. Coral Al Ahsa Hotel is an excellent choice from which to explore Al Ahsa or to simply relax and rejuvenate. Top quality hospitality. Friendly staffs. Cooperative Staff. There are plenty of car parking. Location is very good. Free parking. Oven not functioning. Kettle not working. A/C controller was not working. Poor internet. Wifi stopped working. Noisy hotel inside. No facilities.